Chicago is the third-largest city in the U.S., with a diverse population and a diverse economy to match. Financial services, engineering and publishing are some of the biggest industries in the Windy City but manufacturing and food processing are key drivers, too. 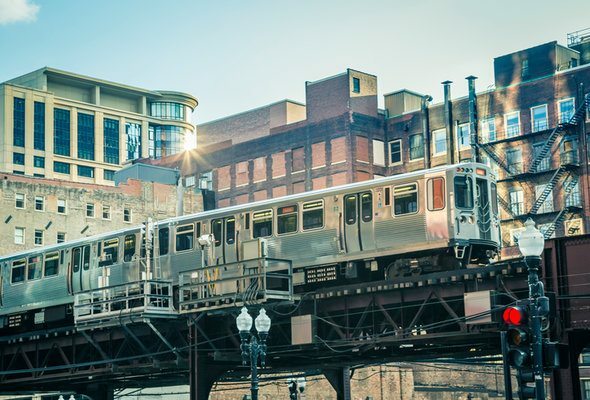 Here’s what to know about working in Chicago. 1. There’s no dominant industry in Chicago. No single industry dominates Chicago’s economy. Chicago has a diverse mix of companies and industries. Unlike other cities, which may be dominated by financial services, healthcare, education or tourism, Chicago has it all. If you’re a job-seeker, that’s to your benefit. 2. Chicago has some great options for workweek lunches. While it’s easier on your budget to pack your own lunch, it can be tempting to buy lunch when you’re hard at work during the week. Luckily, Chicago boasts some affordable options in the form of the city’s storied hot dogs, tacos and other food truck offerings. Yes, Chicago and New York are both big, left-leaning cities with cold winters and hot summers, but the two cities’ work cultures are not identical. Chicago’s work culture is generally seen as less intense than New York’s. If you’re moving to Chicago from New York, you may find that your work weeks are shorter. What do you get when you combine an educated workforce, an international travel hub and a Midwestern vibe? Chicago. The city doesn’t have the frantic energy of some other metropolises, but it still plays an important role in the global economy. You’re not cut off from the rest of the world in Chicago, even though you’re not on one of the coasts. 5. Expect sports talk at the office. Chicago residents tend to be passionate about sports. Working in Chicago means you’ll hear plenty of talk about local teams and their latest games. You’ll feel right at home if you love sports. If not, you’ll have to either avoid the water cooler when those conversations are taking place or learn to fake it. 6. Chicago commutes are longer than average. Residents of the Chicago-Naperville-Elgin, IL-IN-WI metro area have an average commute length of 31 minutes, according to an Associated Press study. That’s longer than the national average. Workers who take public transit have even longer commutes. The average commute time for those workers is 49 minutes. 7. Chicago is a divided city. In terms of job opportunities, incomes and unemployment rates, Chicago is a city divided between haves and have-nots. In other words, the experience of working in Chicago can be very different depending on where in the city you grow up. 8. Chicago is a hub for foreign investment. Chicago has done a lot to attract foreign investment, and the strategy has paid off. In August 2016 Mayor Rahm Emanuel announced that Chicago led the U.S. in foreign direct investment for the third year in a row. The city gets more than $100 billion in foreign investment each year. 9. Commercial real estate is relatively cheap in Chicago. 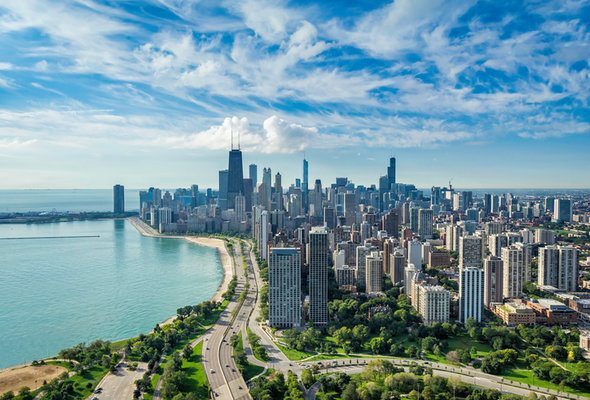 If you’re thinking of moving to Chicago to start a business, you’ll be glad to know that commercial real estate in the Windy City is relatively inexpensive. 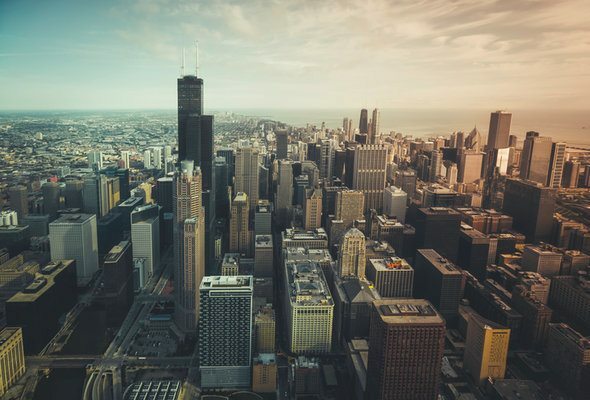 A 2015 report by commercial real estate platform TheSquareFoot found that commercial real estate in Chicago rents for half as much as in New York. Residential rent in Chicago is cheaper than in New York, too. Check out current Illinois mortgage rates. 10. The City of Chicago wants your business. The City of Chicago offers a wide range of tax incentives to encourage business owners to set up shop in Chicago. Business owners get real estate tax breaks. And those willing to start a business in areas of the city that have been targeted for development get extra incentives. It’s a good idea to do research to find out what kinds of programs and incentives you could take advantage of if you think you’d like to work for yourself in Chicago. Chicago’s economy is a selling point for the city. Chicago offers a diverse, entrepreneurial environment that has already attracted a host of new companies, foreign and domestic. Now is a great time to consider working in Chicago.